RUTLANDSHIRE BY JOHN CARY C1828. 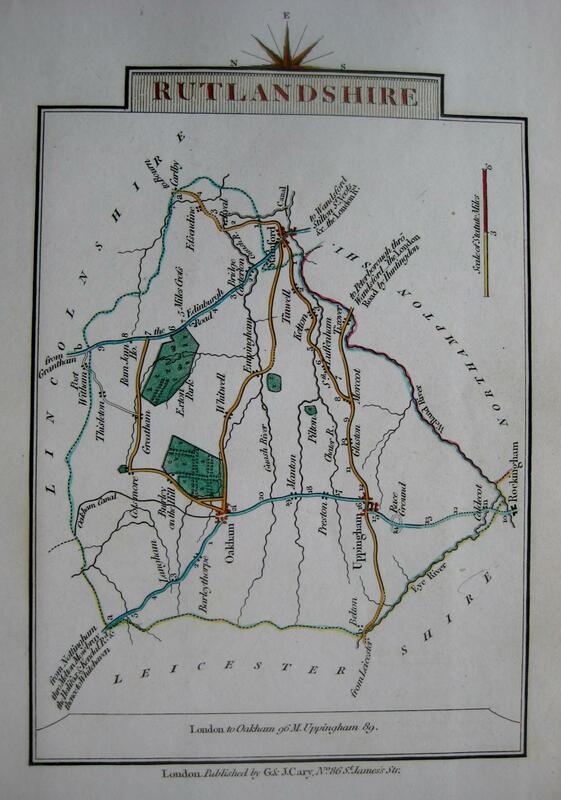 Copper engraved map with later hand colour for Cary's Traveller Companion or A Delineation of the Turnpike Roads of England and Wales c.1828. 14 x 9.5 cms with good borders. John Cary (1754-1835) based in The Strand, London, gained a reputation for the quality and accuracy of his maps and Globes. His New & Correct English Atlas became the standard reference work of the era.